Whether you’re planning a trip to South America or are just sick of being insulted at your local Mexican restaurant, 100 of the Best Curses & Insults: Spanish is your perfect guide to getting back at them, Latin style. With this handbook, you will be able to get the low-down on all the colorful words that sound great in this romance language, but that are completely vulgar and insulting. So the next time José or Alejandro get fresh with you, get fresh right back with them! 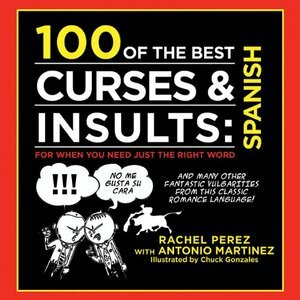 100 of the Best Curses & Insults: Spanish will get your point across that you’re not one to be spoken negatively to, and will show off your dirty bilingual skills.